The senator finally addressed the growing movement to draft her into the 2016 race. CORRECTION: This piece originally said Elizabeth Warren commented on the movement to draft her into the presidential race during a constituent meeting in Springfield, MA, citing a report from MassLive.com which explicitly stated that Warren was speaking about “the growing movement calling her to run.” However, a review of the full transcript of the meeting shows Warren was speaking about her supporters generally, including those who want her to run for president– but not about the draft movement in particular. We regret the error, and the corrected post is below. 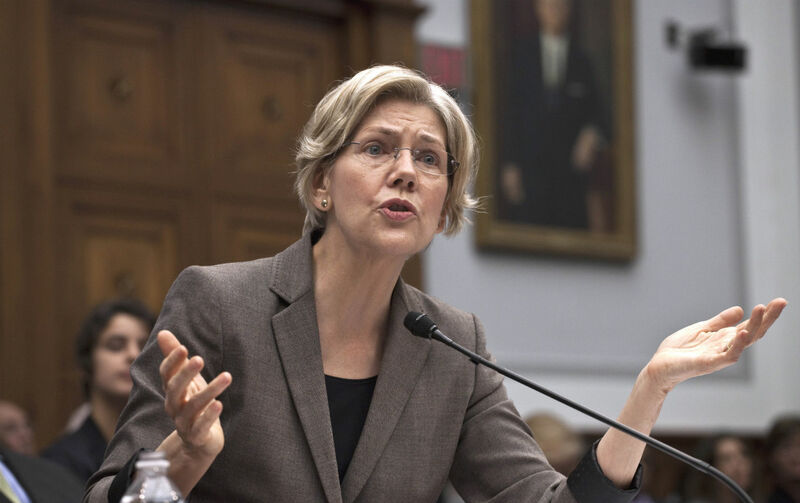 Elizabeth Warren has said plenty of times—over fifty—that she will not run for president. But she’s never really said anything about the movement urging her to do so, short of her lawyer’s letter to Ready for Warren, disavowing its efforts. “Americans understand that the game is rigged, and they’ve had enough of it. They’re ready to fight back. They want a Washington that works for them,” Warren said. If Warren was speaking about the draft movement in particular, it would be news—though it’s not clear that she was; the question was rather broad. Warren still hasn’t really said anything positive about the activists trying to draft her into the race. On Thursday night, Warren’s office said only of the draft movement that “Senator Warren does not support their efforts.” An aide to Warren told The Nation the Senator was not referring to the draft movement, but rather a general sense of her political support. “It’s clear that Senator Warren hears the hundreds of thousands of Americans across the country want her in the 2016 race, because they know we need a President who’s not afraid to stand up to the powerful and fight for working families,” said Neil Sroka, communications director for Democracy for America, which teamed with MoveOn.org to create Run Warren Run.